She has a degree in Business Administration and an MBA’91 from ESADE. She is the founder and director of BCN COACHING SOLUTIONS. Before discovering her true passion, coaching, and reorienting her career towards serving people, Ester acquired 16 years of broad and varied experience in the business world, starting as an employee and then becoming self-employed: six years in Marketing at multinationals (Henkel, Pepsico, Myrurgia), three years as an independent Marketing consultant for PYMEs (small and medium-sized enterprises) and seven years as an entrepreneur, co-creator and manager of an innovative concept of a children’s store (Babystock). Executive & Corporate Diploma from The Coaching Academy, UK. Licensed Team Coach and TDA Authorized Facilitator from Team Coaching International (USA) and Accredited Coach in BELBIN Team Roles methodology from BELBIN Associates (UK). She is an authorized Trainer for the use of METALOG tools and The coaching game for teams. She has a deep understanding and is a regular user of the systemic coaching ORSC tools. Licensed Career Coach from Firework Coaching Co (UK). Authorized DISC Personality System Administrator from PeopleKeys (USA) and Print Survey Authorized Administrator from Print Strategies for Coaches (USA). Ester can carry out her vocation and work in Catalan, Spanish, English, French and Italian since she has lived in different countries throughout her life and has learned these different languages in their countries of origin. She has a degree in English Philology and a Master’s degree in Neuro-Linguistic Programming. 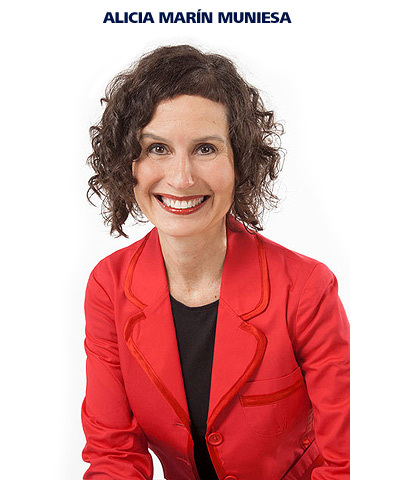 Alicia works in Coaching and Training, and she has been collaborating with national and international Consulting services, since 2008. 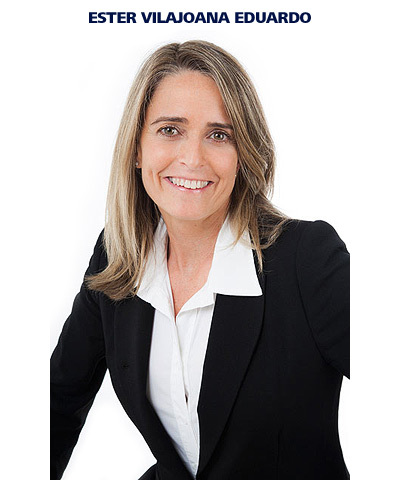 Previously Alicia gained 18 years of broad and varied experience in the business world. She worked in multinational companies both in Germany and in Spain (Henkel, Schwarzkopf Professional), where she held various positions within the HR, Marketing and Trade Marketing departments. Accredited Coach in BELBIN Team Roles methodology from BELBIN Associates (UK). Authorized DISC Personality System Administrator. Alicia can carry out her vocation and work in Catalan, Spanish, English, French and German since she has lived and worked in different countries throughout her career. Moreover, as shown by the fact that she is an Associate Lecturer in “Cross-Cultural Communication” at the IE Business School (Madrid), she is specialized in addressing issues of cultural differences in her lectures.